Ecommerce sites are naturally suited to target the long tail of organic search performance. How you optimize your site determines how long its tail could be. 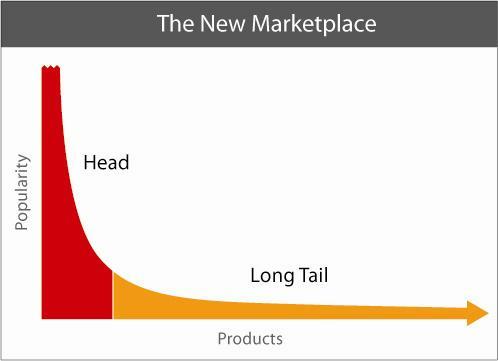 The long tail of marketing also applies to SEO. Image: Longtail.com. 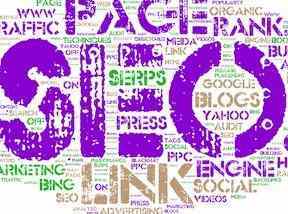 The long tail, for SEO, applies to the number of searches a type of keyword is likely to drive. For example, a site that sells picture frames and framed art would presumably want to rank well for the keywords “picture frames” and “wall art.” Those so-called head terms are individually extremely valuable, both from a traffic perspective as well as from the ability to boost brand recognition by being visible in the search results. However, the greater value can be found in the long tail of search. Consider phrases like “black 5×7 frame” or “framed Monet with haystacks” or any other search phrase that drives relatively few searches per month compared to the head terms. Individually, 100 people or even just one person might search for these long tail phrases each month. But when you add them up, the number of searches is much higher than those driven by the head terms. In addition to the existing long tail phrases (which we can identify in keyword data or our own analytics), Google claims that 15 percent of the search queries it receives each day have never been searched. The tail continues to grow. The filters and facets on your site are the key to capturing long tail performance. When you break long tail keywords into individual words, you start to see a list of attributes or facets, similar — hopefully — to the facets offered on your ecommerce site. The desire behind searching for the phrase “black 5×7 frame” can be met by a category page that sells picture frames, with the facets or filters of the color black and the size five inches by seven inches applied. The first step in optimizing your site to capture the long tail is arranging the site’s architecture to include the types of categories and filters needed. Your platform automatically creates that page — the picture frame category page with the color black and the size five inches by seven inches filters applied — presuming your site’s architecture has been constructed to include those filters. If the categories and filters aren’t present, your site will not be able to easily target these long tail phrases. Keyword research is essential to understand which attributes are most commonly present in your shoppers’ searching habits. To learn more about the deep keyword research needed for this exercise, read these installments from my “SEO 101” series. Once the pages exist to target the long tail, by virtue of an optimal architecture, they need to be optimized. The good news is that optimization of the long tail is basically just exposing the facets that people search for — in the title tag and other elements on the page that search engines use to determine relevance. Some products are also searched for by attributes, in addition to the more generic long tail words that describe them. As a result, natural search performance of product detail pages will also benefit from optimization based on the long tail. All product detail pages are essentially long tail targets, unless you’re fortunate enough to have a wildly successful brand with products that are household names, like Nike’s Air Jordans or Apple’s iPhones. 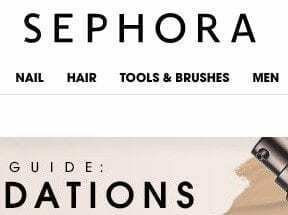 For those that have small-to-moderate product name recognition, optimize product detail pages with the same types of attributes that are valuable as filters on category pages. For example, a framed poster of Monet’s “Wheatstacks (End of Summer)” may not be well known or searched for by the exact, correct title. A product detail page for that painting should include a list of attributes, including subject matter (haystacks, farming, fields, pastoral scene, landscape), color shades (green, blue, orange), and poster or print size (22×16, 24×18). These attributes can be included as simple lists below the product description, or written into the description, depending on how many attributes there are and how well they lend themselves to prose. 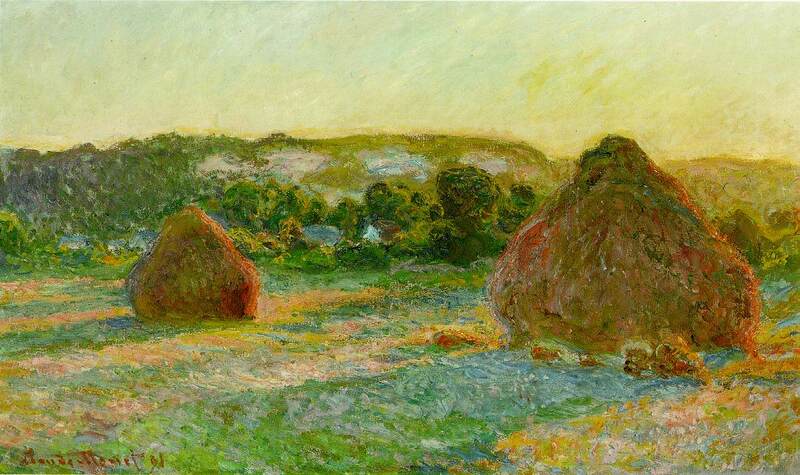 Monet’s “Wheatstacks (End of Summer).” Image: The Art Institute of Chicago. Unfortunately, a site’s technical implementation can easily chop the tail off in ways that aren’t visible to the casual observer. My article next week will explain this phenomenon and how to resolve it.